FAN FRESH | Pro Chem, Inc. FAN FRESH is the only air freshener dispenser that uses the fragranced cover of the dispenser as the air freshener itself. It also utilizes the newest technology in odor control available. The motor driven fan moves the air freshener further than typical, passive systems to freshen large areas. 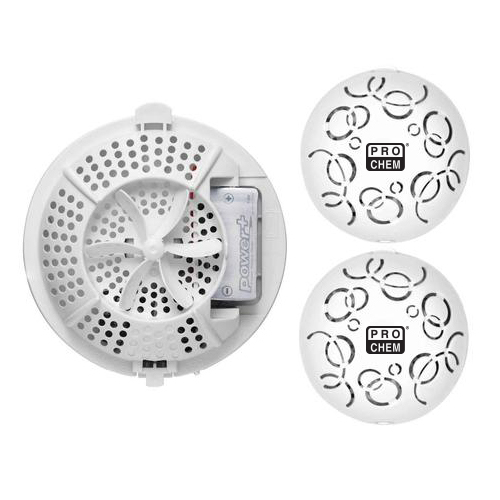 It has a smart chip that controls the fan speed so the air freshener provides consistent fragrance all month long. It will turn sparingly for week one and gradually turns more frequently until week four when it turns constantly.